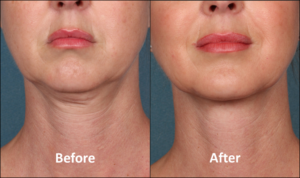 Kybella Treatment – Dr. Bose Yalamanchi, M.D. 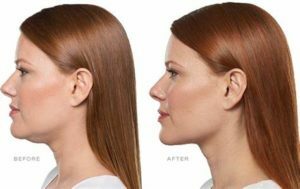 If you are looking to get rid of stubborn fat under the chin without surgery and lots of downtime, Kybella might be fore you. 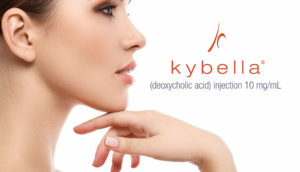 Kybella is an FDA-approved deoxycholic acid, a fat-absorbing substance found in our bodies naturally. When injected, it destroys fat cells under the chin, leaving the skin tighter and the jaw line more contoured. For best results, patients should commit to about 2-6 treatments, spaced a month apart, with anywhere from 12 to 20 little injections per visit. Kybella results are noticeable at four to six weeks and last for years, which means that touch-ups shouldn’t be needed. As for side effects, expect swelling and bruising that start to fade within three days of treatment.